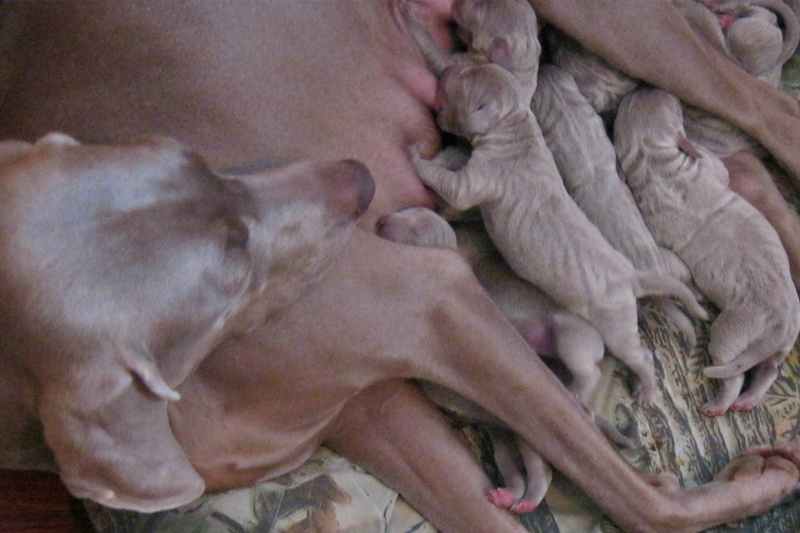 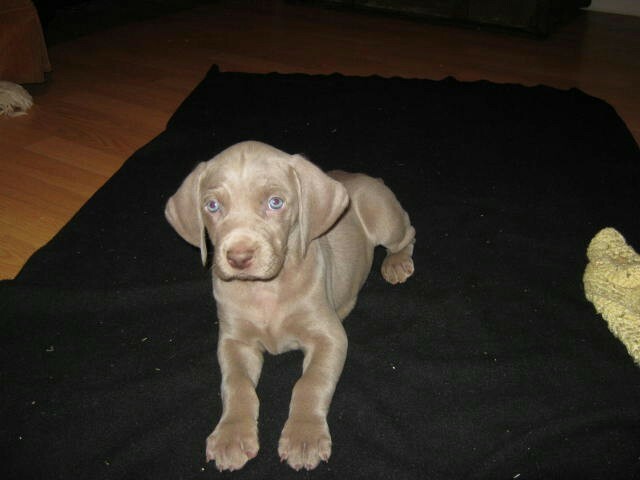 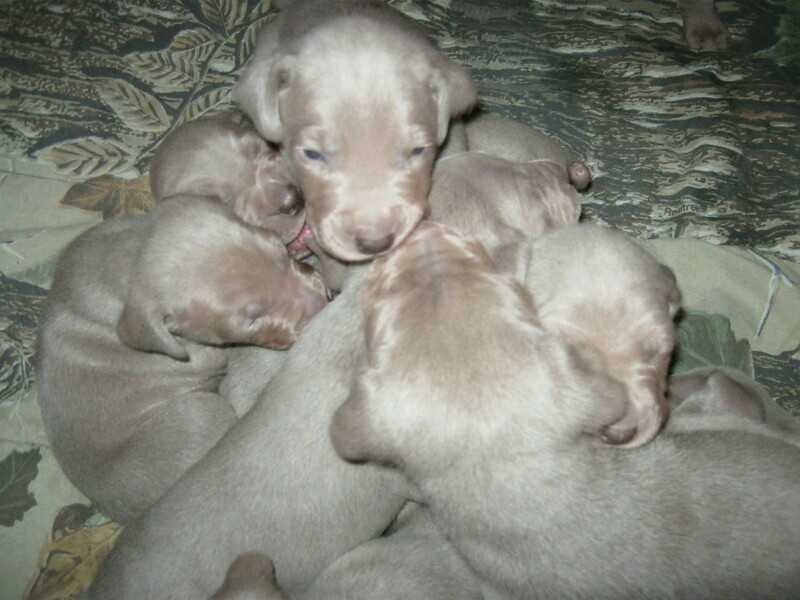 This litter is the first of our 2nd generation of Champion Sired Weimaraner Puppies. 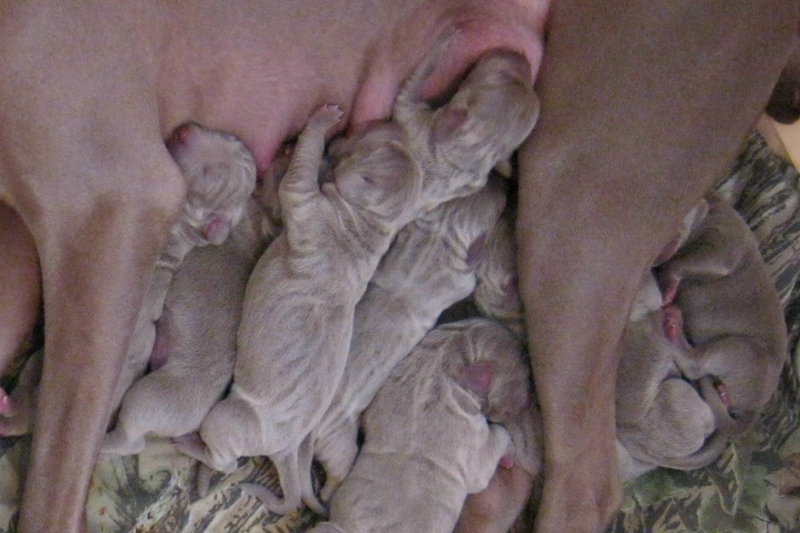 There are 6 boys and 3 girls. 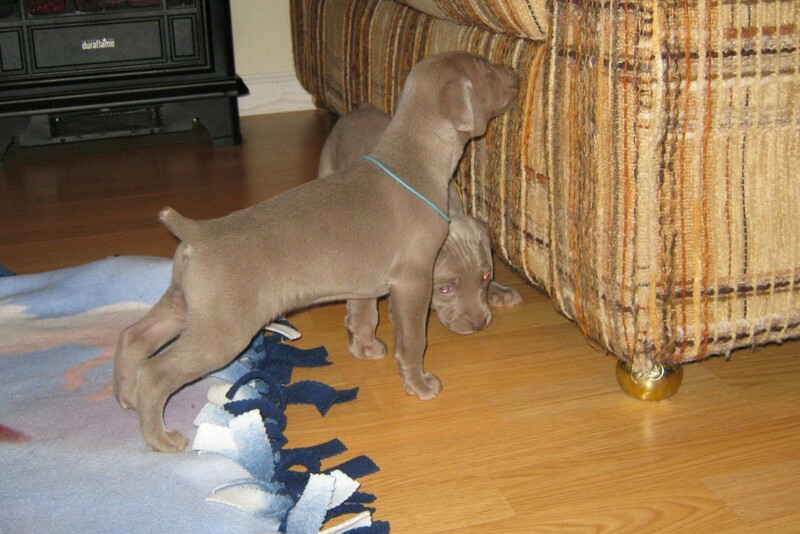 Their tails have been docked and dew claws removed. 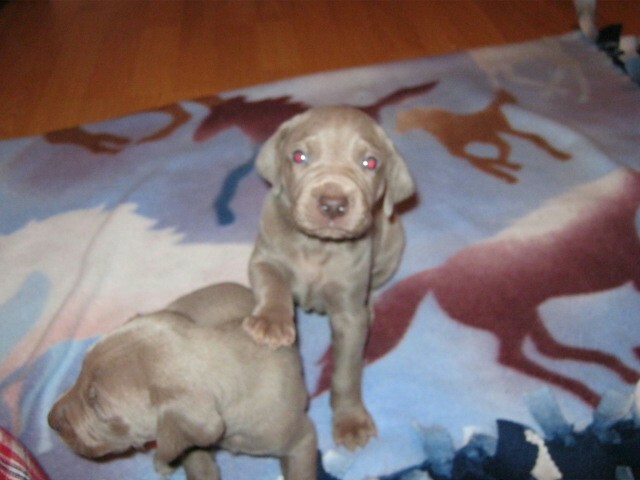 Appropriate vaccinations and dewormings as well as health certificates from a licensed Veterinarian are included in the purchase price. 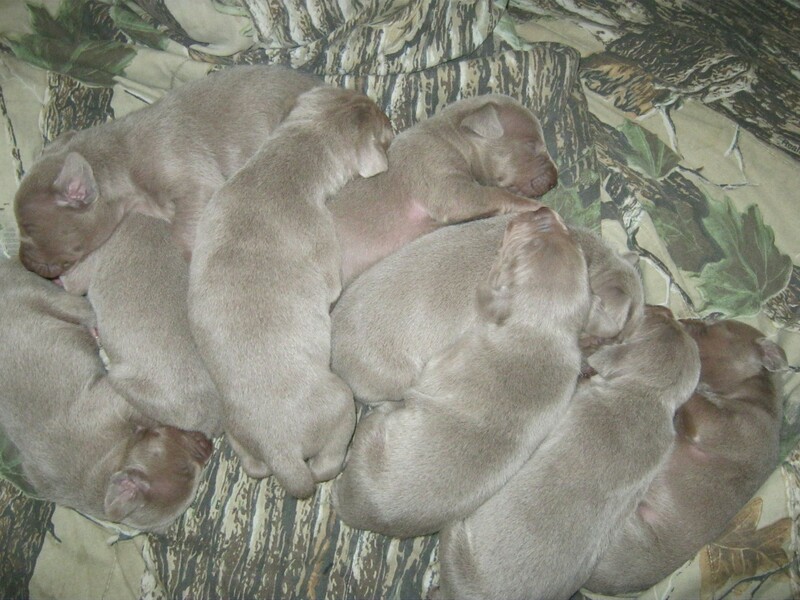 All of the puppies have currently been placed Please contact me if you are interested in one of our upcoming litters.